Swatches: GOSH - Frosted Purple 03 Glittery Matt Finish | Memorable Days : Beauty Blog - Korean Beauty, European, American Product Reviews. 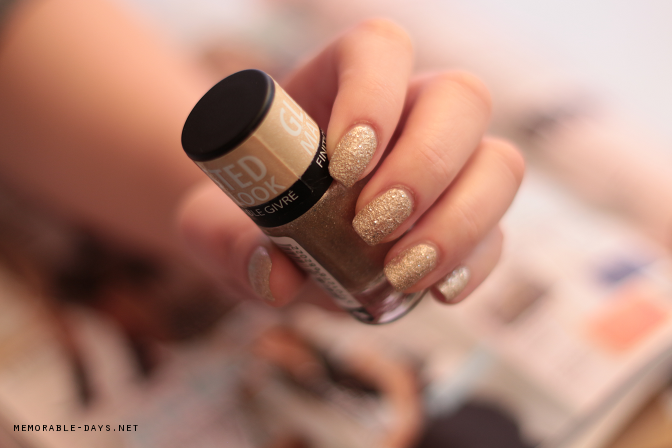 A few days ago I showed you some swatches of the glittery matte nail polish in frosted gold from GOSH. Today I will show this lovely shade Frosted Purple! It also has a glittery matte finish and it somehow looks dark silver instead of purple. I love it! It's great for Christmas and New Year! 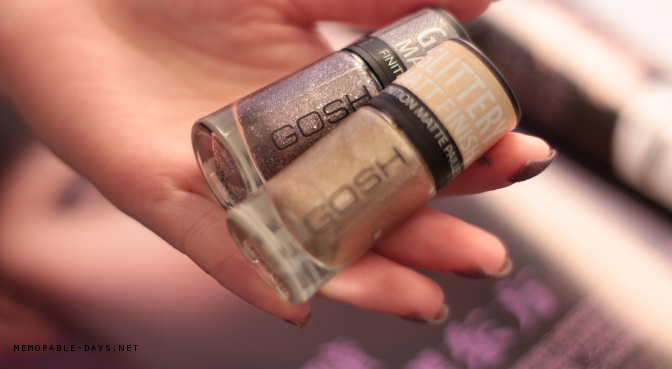 Check out the swatches in today's blogpost! This nail polish is available at the local drugstore, Kruidvat in The Netherlands and Belgium. It's also available in frosted silver and frosted gold. It's sold for €7,25 per nail polish. I applied a base coat, 2 coats of frosted purple and no top coat. It took a few minutes to dry. It's pretty long lasting since it started to chip after day 5. Not bad at all I would say ^_-!